After working a couple in class, the next step was to work as a group. 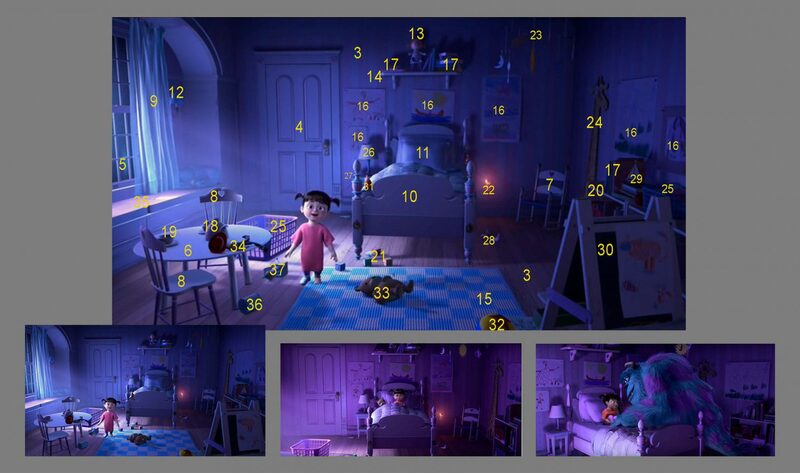 The objective of this work was to choose and copy a Pixar scenario, without characters. 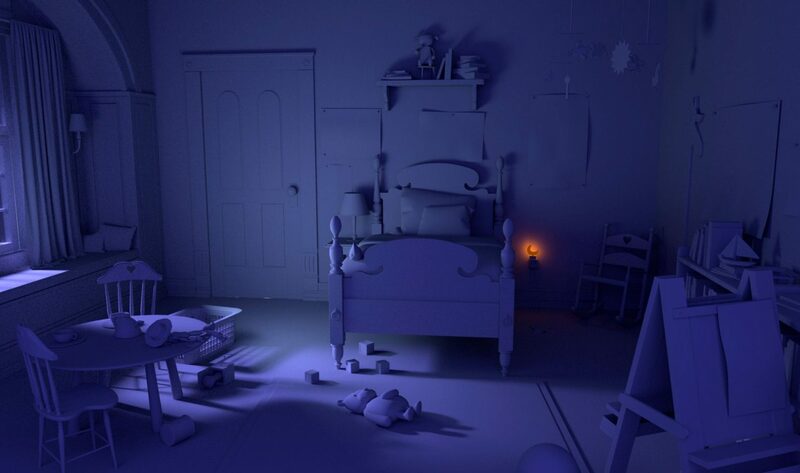 We chose Boo´s room from Monsters INC. 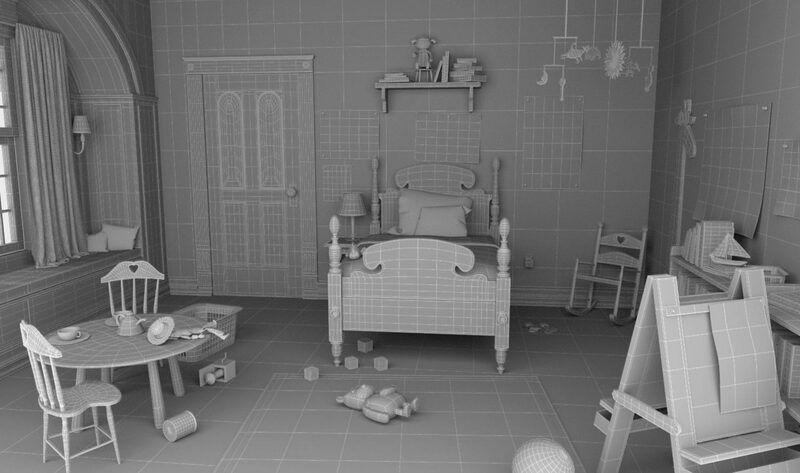 The first step was to identify and number all the assets that made up the scene and distribute them. 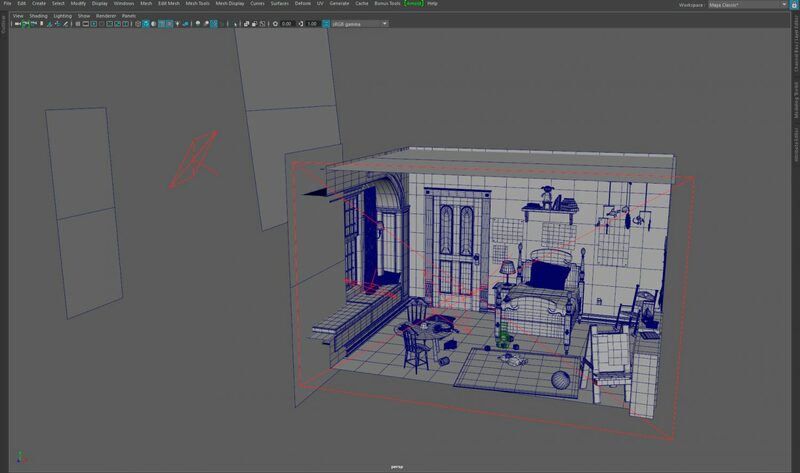 Each member modeled and mapped their assets. 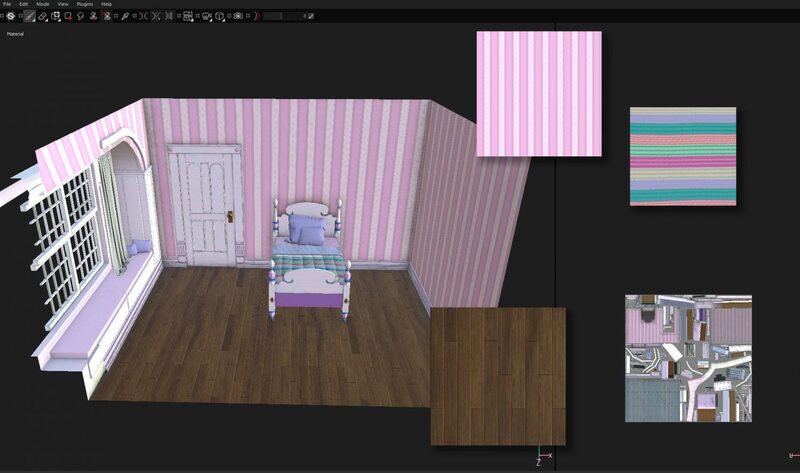 I modeled the walls, floor, curtains and bed. 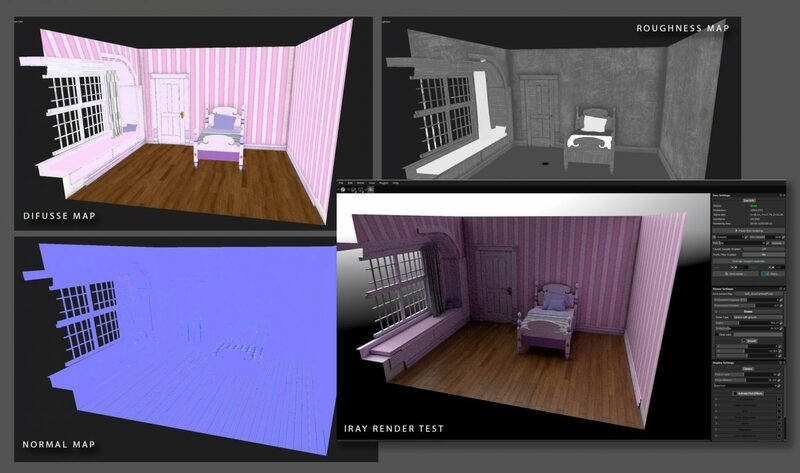 Curtains and cushions are modeled in Marvelous Designer, but did not give time to retopolize them, so they do not have a correct topology. 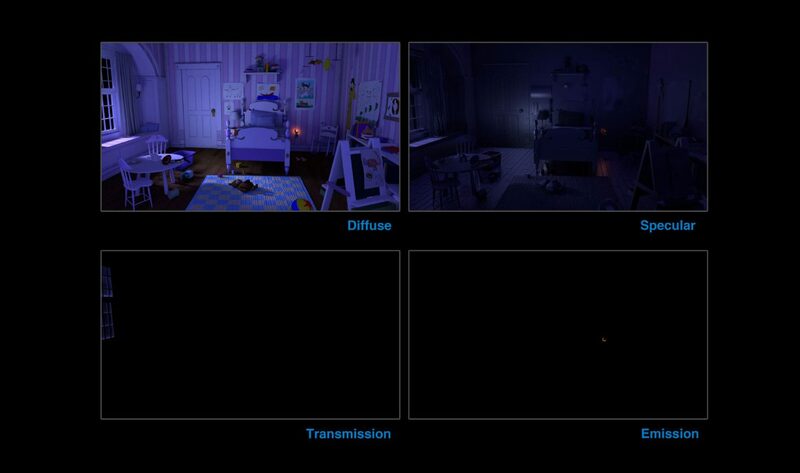 I took care of all the lighting. Very simple, trying to make it as natural as possible and keeping in mind that I was going to add a volume pass in composition. 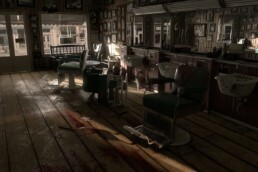 The whole scene is illuminated with lights area. 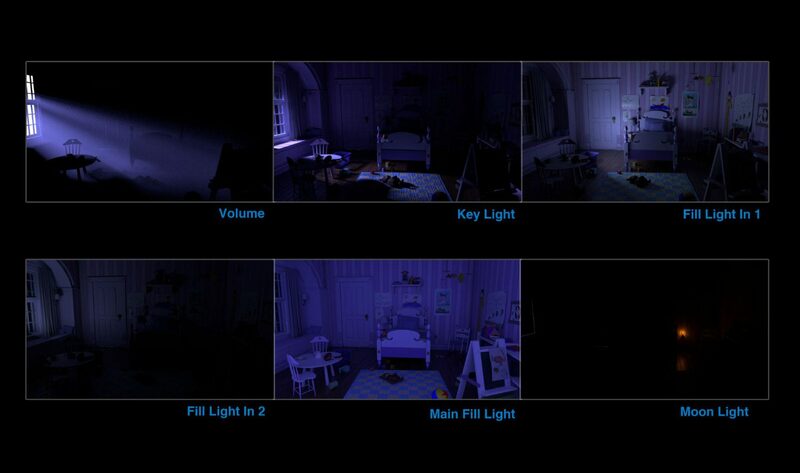 The room has a big fill light and two small lights to mark points of light. The exterior light has plans cutting the light to give the feeling of a window. I used a light mesh for the light of the half moon on the wall. 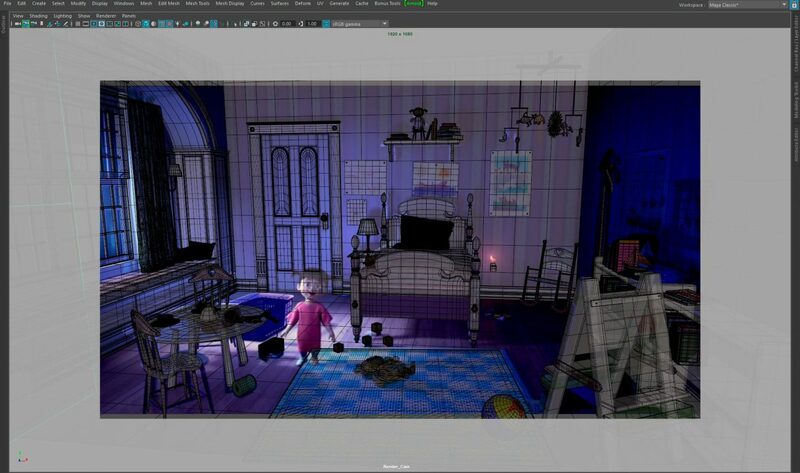 All members of the group texturize the assets with Substance Painter. 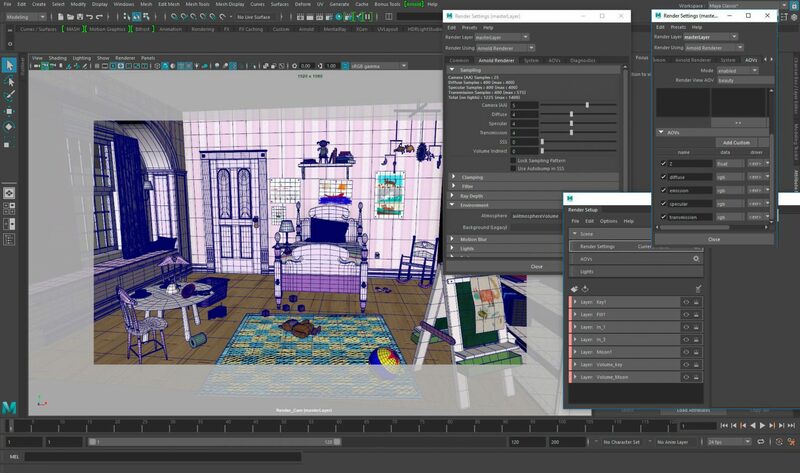 The most complex part of my assets was to recreate the texture of the walls and the floor. 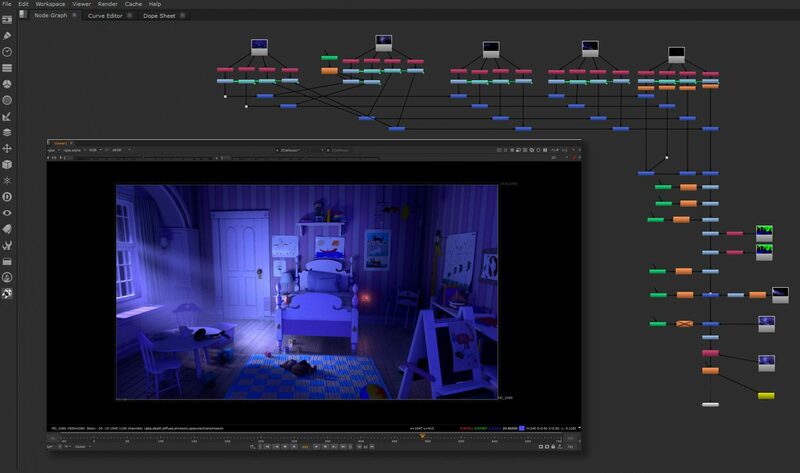 We all had the complete model of the scene illuminated so that we could see how the materials behaved in those light conditions. I also took care of the render and the composition. To have as much control as possible of the image I made six light passes with their AOVs of diffuse, specular, transmission, emission and Zdepth. Also a mask of IDs to select specific areas of the image. Finally, the master layer with and without volume as reference. The nuke tree was complex. I took out their AOVs from each light and could correct them according to color or intensity. 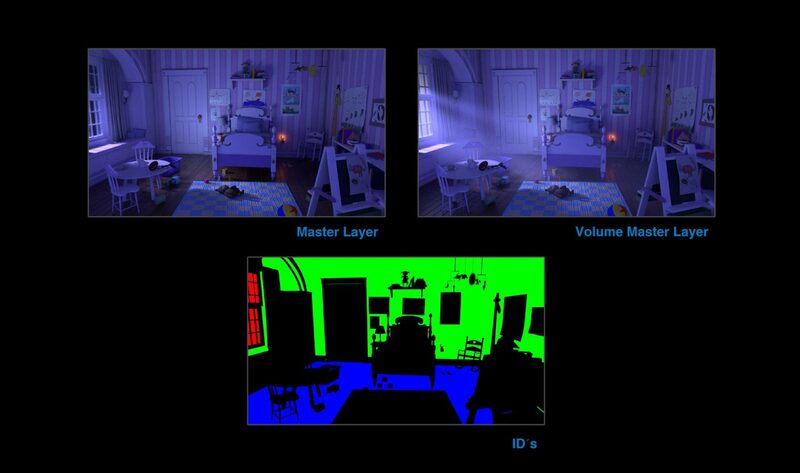 Finally I added the volume pass and corrected the color and intensity by zones.